It’s the first day of Spring (hooray!) and we’re springing towards the CarogaLake Music Festival season. Start making your summer plans and mark your calendar for Encore! Jazz Sessions with special guest artist, Katie Thiroux Trio! Katie Thiroux has become a bold standard-bearer for the emerging generation of jazz singer/instrumentalists. Following her prodigious beginnings on bass at age 8 and studies under renowned vocalist Tierney Sutton at 12, Thiroux was mentored by the legendary bassist John Clayton and was awarded a Phil Ramone Presidential Scholarship to Berklee College of Music while gaining experience on the bandstand with artists including Terrell Safford, Terri Lyne Carrington, Branford Marsalis, Larry Fuller, Jeff Clayton, Patti Austin, Geri Allen, Helen Sung, Charles McPherson, and dozens of others. She was a finalist in the 2015 Thelonious Monk International Vocals Competition, and her debut release as a bandleader from the same year, Introducing Katie Thiroux, received accolades from All About Jazz, the Huffington Post, the Jazz Journalists Association, and NPR Jazz, who listed the release among their Top 5 Debut Records of the Year. She was named “Rising Star” bassist in the 2018 DownBeat Critics Poll, is a traveling clinician for the Monterey Jazz Festival in the Schools program, and performed a three-month residency at Quincy Jones’ Dubai jazz club in 2017. Thiroux’s newest album with her quartet, Off Beat, was produced by eminent drummer Jeff Hamilton and made DownBeat’s list of Best Albums of 2017. For this date, Thiroux will be joined by her excellent working trio including drummer Matt Witek and pianist Glenn Zaleski, who appeared at CLMF’s Encore! Jazz Sessions in 2018! Caroga Arts Collective is honored to have been a top tier recipient of the 2019 Community Arts Grants from Saratoga Arts in support of the 8th Annual CarogaLake Music Festival which will be held from July 15 – August 18. Thank you for your continuing support! 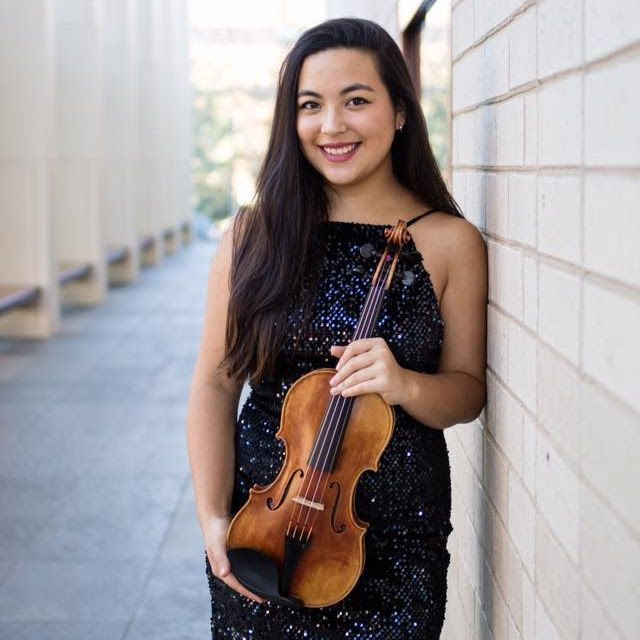 Congratulations to CLMF Artist Eliza Wong (’17 Switzerland, ’16 CLMF), National Winner of the 2019 Music Teachers National Association (MTNA) Young Artist Competition! A senior at Vanderbilt University, Eliza was chosen as the Strings finalist in the Southern Division and competed against six other division finalists from across the U.S. Previous PostPrevious Caroga Arts makes Ravinia debut!